Ava is unbeatable at just about everything. 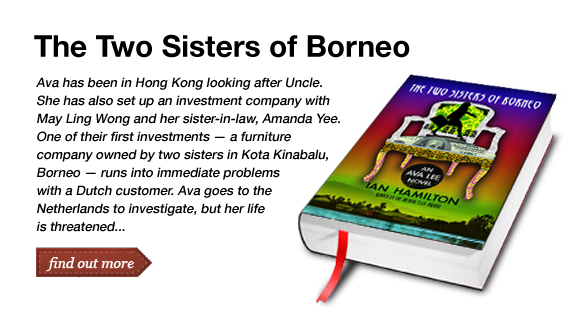 Welcome to the official website for Ian Hamilton, author of the Ava Lee novels! We hope you enjoy learning more about the books and our feisty heroine Ava Lee. Be sure to check out the latest buzz, author events, and join us on Facebook. 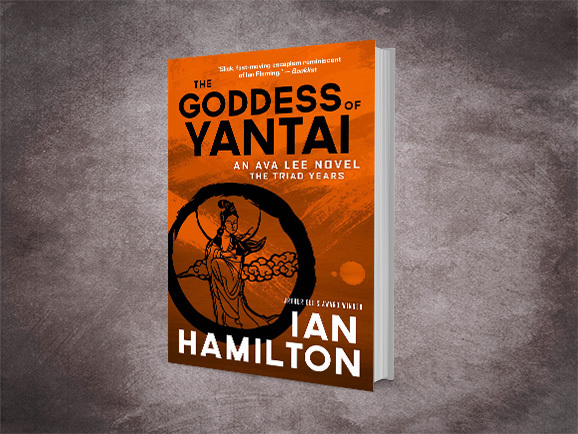 The Goddess of Yantai launches in December, 2018! I am really pleased with The Goddess of Yantai. 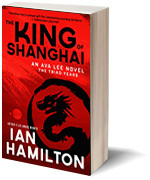 It is an excellent thriller that on one hand adds new dimensions to Ava’s life, and on the other lays the groundwork for what I hope are at least another three books in the series. One other plus is that for the first time, an Ava Lee book will be out well before Christmas so I hope it inspires gift-buying. Ava travels to Beijing for the premiere of her secret lover Pang Fai’s latest film, Mao’s Daughter. After the screening, a distraught Fai tells Ava that she is being blackmailed by senior officials of the China Movie Syndicate. The Syndicate seeks sexual favours in return for their continued support of Fai’s career and films. When Fai resists, the threats become increasingly violent and far-reaching, including the release of scandalous videos of the young Fai that could end her career entirely. Working alongside Fai and several of her friends, Ava delves deep into the seedy world of the Chinese film industry in an attempt to liberate her lover from the grasp of the Syndicate. But can Ava save Fai from her memories? 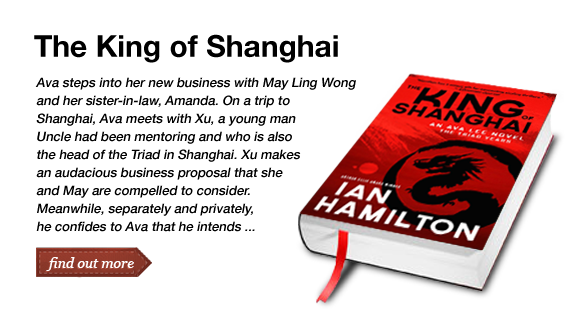 Strada Films is looking to create a film franchise based on the Ian Hamilton book series. 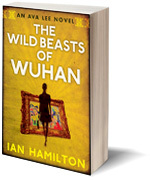 Ian Hamilton is the author of the Ava Lee series. With the publication of the Imam of Tawi-Tawi, the series is now eleven books and counting. The books have been published in seven languages, and in more than 20 countries. They have made multiple best-seller lists, and have been short-listed for many awards including the Barry, the Lambda, and Arthur Ellis. 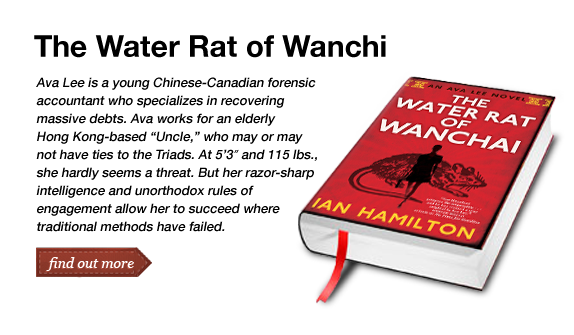 The first book in the series, The Water Rat of Wanchai, won the Arthur Ellis for the best first novel. The Water Rat was also chosen as the Amazon book of the year, and one the top five books of the year by the Quill and Quire Magazine. 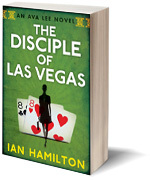 The Toronto Star chose The Water Rat and The Disciple of Las Vegas, the 2nd book in the series, as two of its top five books in the same year. 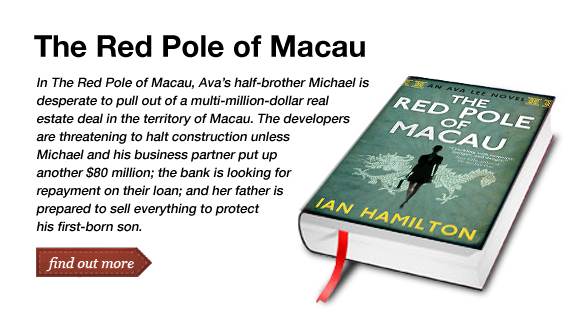 BBC Culture recently chose Ian as one of the top 10 crime/mystery/thriller writers from the last 30 years that you had to have on your bookshelf. He is contracted to write at least three more books in the Ava Lee series. 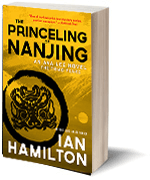 He has also contracted to write a new series based on Uncle, one of the most popular characters in the Ava Lee series. The first Uncle book will be released in the summer of 2018. All eleven Ava Lee books have been optioned for film and television. The first book, The Water Rat, is scheduled to go into full production in the fall of 2018 as an international co-production. 2018 promises to be another active year, starting with the launch of the Imam of Tawi-Tawi in early January. There will be several launch events in Burlington, Waterloo, and Orangeville. 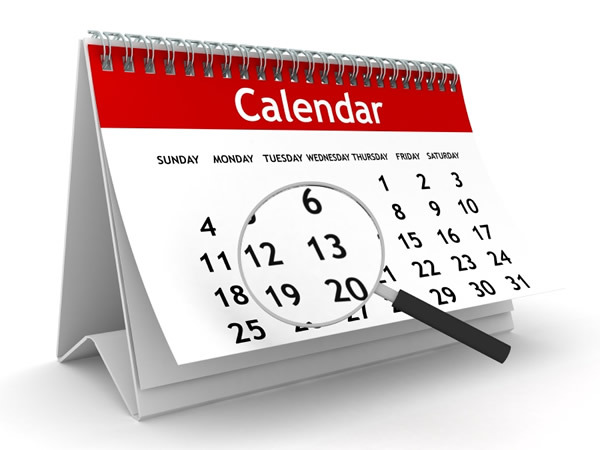 Dates, times, and locations for Waterloo and Orangeville to follow. Monday, November 22, @ 7 p.m.
Ian has already committed to other events across Canada and in the US. Details will follow as we get closer to the dates. For my attendance at events, it is best to contact my publicist at the House of Anansi Press, Laura Meyer. Methodical. Resourceful. Courageous. Determined. Strong. Confident. Ava Lee is a young Chinese-Canadian forensic accountant who specializes in recovering massive debts that aren’t likely to be recovered through traditional methods. 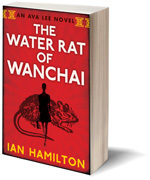 In the first book of the Ava Lee series, The Water Rat of Wanchai, her character takes shape through learning about her traditional Chinese upbringing, her family dynamic and the people that are most important to Ava. Partnering with “Uncle”, who lives in Hong Kong , they have a diverse client base that is mainly Asian. They approach their business with the understanding that “organized corruption is always superior to corruption with no rules.” Since dealing with corruption is the heart of their business, they prefer to conduct their work in countries with organized corruption. Independent, intelligent, and creative in her methods, Ava does whatever needs doing to get the job done. Ava’s motto is: “people always do the right thing for the wrong reason.” Her challenge is to always find that wrong reason. Even though she’s petite, it’s a serious mistake to underestimate her physical abilities. She is well trained in martial arts and uses her abilities to get her out of dangerous circumstances. She is also accustomed to working alone, to the point of obsession, which becomes interesting when she is forced to negotiate with powerful and unfamiliar alliances to get the job done. Ava Lee novels are available in Canada, the USA, Spain, Germany, UK, Brazil, Holland, France and Australia. 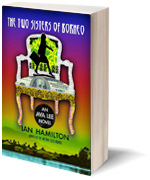 The upcoming 8th book in the popular Ava Lee series. The prequel to the wildly popular Ava Lee series. Young Ava Lee is a forensic accountant who has just opened her own private firm. One of her clients, Hedrick Lo, has been swindled of more than a million dollars by a Chinese importer named Johnny Kung. Desperate, Lo persuades Ava to find and retrieve the monies owed. 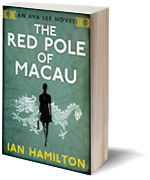 Ava goes to Hong Kong, where she plunges into the dangerous underground collection business and meets a man who will forever change her life . . .
Ava Lee goes deep inside the shady world of online gambling in the second installment of the pulse-pounding series. In The Disciple of Las Vegas, forensic accountant Ava Lee is hired by the richest man in the Philippines to recover $50 million from a Canadian land swindle. 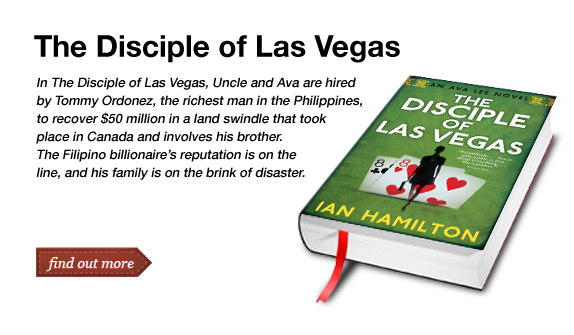 With the billionaire’s reputation on the line, she follows the money from Vancouver to Las Vegas, to the Costa Rican accounts of the Moneida, a First Nations band that owns The River, a poker web site. After uncovering an illegal online gambling ring, she confronts one of the world poker greats, David “The Disciple” Douglas, and his partner, Jeremy Ashton. Meanwhile, Jackie Leung, an old target of Uncle’s and Ava’s, has made it rich. 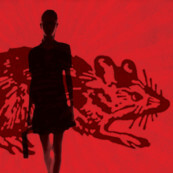 He wants revenge, and he’s going after Ava to get it. Ava is back, and she is tougher than ever as she uncovers the secret world of art fraud, in the third book in the wildly popular and bestselling Ava Lee Series. 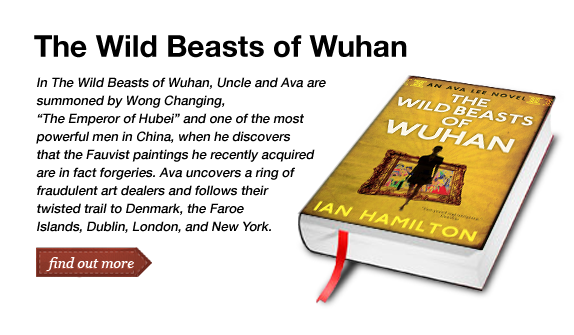 In The Wild Beasts of Wuhan, Uncle and Ava are summoned by Wong Changxing, “The Emperor of Hubei” and one of the most powerful men in China, when he discovers that the Fauvist paintings he recently acquired are in fact forgeries. Ava uncovers a ring of fraudulent art dealers and follows their twisted trail to Denmark, the Faroe Islands, Dublin, London, and New York. But the job is further complicated by Wong’s second wife, the cunning and seductive May Ling, who threatens to interfere in Ava’s investigation. 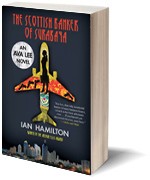 The fifth installment in the wildly popular Ava Lee series, The Scottish Banker of Surabaya exposes the dark world of money laundering and the Italian mob. Ava has been in Hong Kong looking after Uncle. She has also set up an investment company with May Ling Wong and her sister-in-law, Amanda Yee. One of their first investments — a furniture company owned by two sisters in Kota Kinabalu, Borneo — runs into immediate problems with a Dutch customer. Ava goes to the Netherlands to investigate, but her life is threatened when she is confronted by a gang of local thugs in Borneo. Out of the shadows comes a mysterious man from Shanghai . 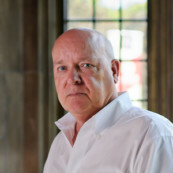 . .
– Linwood Barclay, author of No Time for Goodbye. – Literary Treats Blog by Jaclyn. Ian loves book clubs! 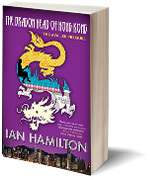 Please contact him if you would like him to attend a GTA area book club to talk about The Water Rat of Wanchai, The Disciple of Las Vegas, The Wild Beasts of Wuhan , The Red Pole of Macau, The Scottish Banker Of Surabaya and The Dragon Head of Hong Kong, The Two Sisters of Borneo, The King of Shanghai, The Princeling of Nanjing (all currently available in Canada) and in January, 2017, The Couturier of Milan – soon to be followed by The Imam of Tawi-Tawi, and The Goddess of Yantai to discuss the characters and the writing and editing process. He can also give you a sneak peak reading from the tenth book in the Ava Lee series: The Couturier of Milan. 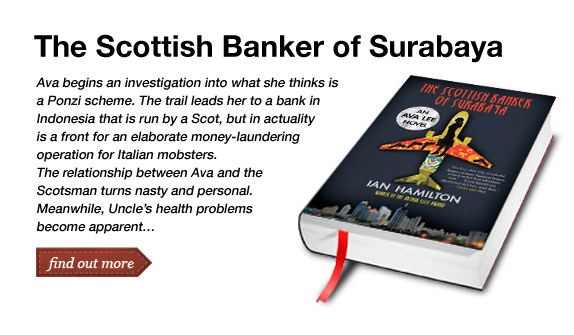 If you are outside the GTA, Ian would be happy to attend your book club by phone! And in addition to attending book club meetings in the GTA, I’m happy to talk to book clubs anywhere in North America by phone or Skype. 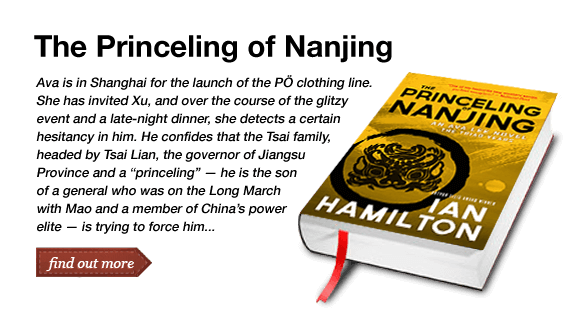 For Canadian and U.S. publicity inquiries, please contact Laura Meyer at House of Anansi Press.